The Akagi Bible Camp is a camp facility owned and operated by our Covenant Church here in Japan. ABC is now almost 50 years old. The present land and main structure were purchased from another individual who had operated a sort of lodge/guest house on the site. It is located on top of Mt. Akagi in central Japan (Gunma Prefecture) inside a designated prefectural park area. We have mountain peaks on all sides as well as two lakes and a nature preserve right nearby. (Yes, that’s our gorgeous setting in the page header up above!) The building was old at the time we purchased it but by doing some renovations and constructing an additional unit we have been able to make use of this camp for 5 decades. Each summer, camp programs for elementary, junior high, and senior high students are held. In addition groups from other churches and denominations make use of our facility. The Lord has greatly blessed us through this camp! The first manager or director of the camp facility was Covenant missionary Harry Westberg, followed by a period during which the camp was managed by Ernie Christensen. None of us presently on site have accurate recollection of how long each of these individuals served in that role but no doubt the details appear in archived minutes and records of the Covenant missionary committee of that time. At some point management and direction of ABC was taken over by Harry Engeman who also received assistance and cooperation from a number of Japanese pastors and laypersons. Offerings from Covenant churches in the U.S. and Canada, in fact, made possible the purchase of the camp as well as the construction of an additional wing. Over the years there have also been a number of designated offerings that have come from individuals and churches to help purchase various items for the camp. Following those early years the managing of ABC (both the physical plant as well as all financing) was turned over from missionary staff to the Japan national church organization. 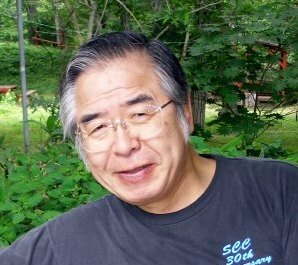 During this period Pastor Matsumoto managed the operations of the camp for 17 years while pastoring one of our Covenant churches in the city of Maebashi nearby. 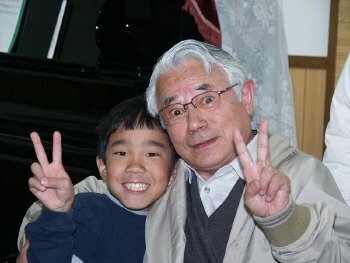 Pastor Hasegawa, who served as the chair for the ABC board for over 10 years, also served as the temporary manager of the camp for a couple of years following Pastor Matsumoto’s resignation. It was during this period in 1997 that ABC was the recipient of an offering from Covenant camps in North America, allowing us to remodel an empty storage space into a beautiful chapel. It’s hard to believe that we will be enjoying that space for a 15th year this summer! 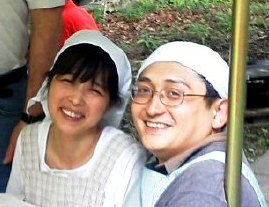 In 2000 Pastor Kogure and his wife Megumi, along with their 1st grade daughter Akari, arrived at ABC to become the first full-time manager that the camp had ever had. They served for seven years, during which time the remodeling efforts continued. Bunk rooms were completely remodeled, a mini-lounge was added in the main building and the bath and shower areas were completely overhauled. Much of this was possible due to three special offerings that we received. In 2003 and 2008 we were the “summer project” for our Covenant Bible Camps back in the US and Canada. In 2006 we received an offering through FOWM (friends of world mission). We are so grateful for the blessing that those gifts were. In the spring of 2008 we welcomed Ken and Mie Tsuruki (with their 2-year-old son Towa) as manager. They served the camp for two years. It was during their time here that we were able to purchase the building that adjoined the camp and turn it into a home for them. That building continues to be an important asset for ABC as we consider using it now for groups that desire to use the facility year-round. From spring of 2010 ABC was once again without a full-time manager but Pastor Makoto Hiyoshi of the Nagaoka Covenant Church, along with his wife Kinko, served as a temporary manager through the summer season of 2013, while continuing his faithful work as a board member. From the fall of 2013 Pastor Yasushi Shimizu took over the position of manager and continues to direct the ministry of ABC. Another exciting development during the summer of 2014 has been the move of covenant missionaries Jim & Hydi Peterson from Tokyo to living on site at the camp on top of Mt. Akagi and working together with Pastor Shimizu and the ABC board of directors in further developing the facility and programs. For more than 15 years we’ve discussed options for rebuilding the camp facility. There have even been some rather specific plans along the way but so far, none of the larger dreams we have considered have come true. Instead, we have continued to make progress in areas where we can, and enjoy the blessing of God’s hand on our camping program even though our facility continues to be quite limited. Finances of course play a part in all of this. A complete rebuild of the camp is probably not realistic considering the projected costs of such an undertaking as well as the size of our Covenant family in Japan (23 small congregations). Like Covenant camp facilities in north America, making the change from a rough, seasonal camp run mostly on volunteer efforts…. to a more comfortable, year-round facility with paid staff has not been easy. In fact, we have not quite been able to arrive there yet. 1. While much remodeling has taken place in the past 10 years, there are a few rooms and areas where it is still needed: a staff room on the first floor, the dining area, and the fireside room. 3. We are focusing some planning and attention on the building which was purchased in 2008. This particular structure is in good condition and has its own water system so that we can conceivably use it year-round for camping activities. It also serves as housing for Jim and Hydi who are using the building to host various groups, visitors and campers. Thanks for remembering ABC in your prayers!